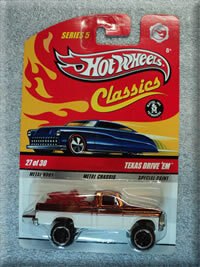 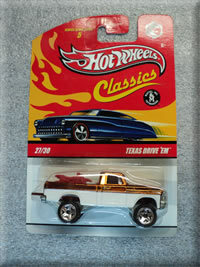 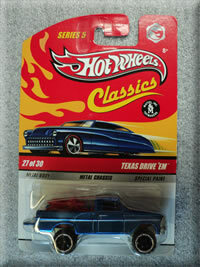 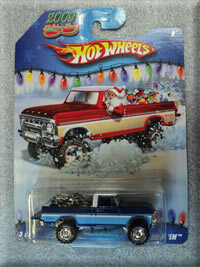 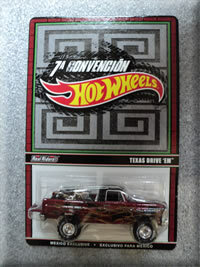 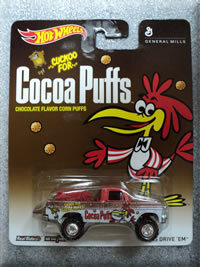 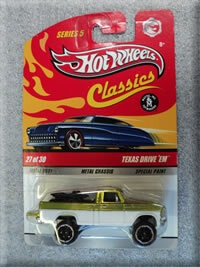 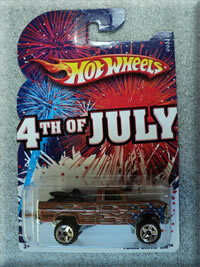 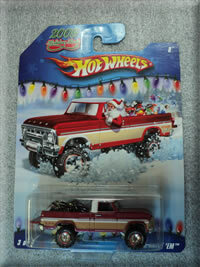 Hot Wheels released the Texas Drive 'Em in 2009 and it quickly became one of their hottest castings that gets snatched up quickly. 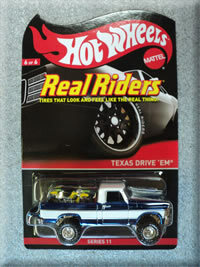 The last two models sold through the Redline Club each sold out in under 2 minutes. 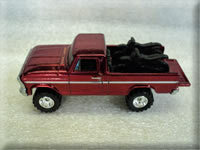 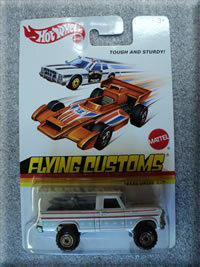 The truck is a 1972 Ford Pickup with 2 motorcycles in the back and the tailgate opened.